A brilliant achievement, and this is as great and breathtaking as the first Young American Primitive album. 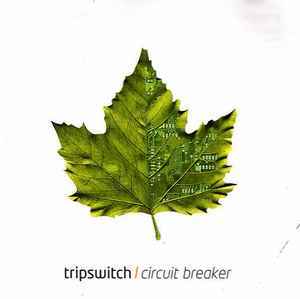 Tripswitch is Nick Brennan from the UK. He has previously released several great tracks on various compilations, mostly on Liquid Sound Design, the chilled side of Dragonfly Records. Now he is finally out with his debut album called Circuit Breaker on Liquid Sound Design. As usual, we get another masterpiece from this label, perfect timing before the summer. First out is the Exiled track originally released on the Butterfly Dawn compilation. Here we get a remix of it. This one has very mystic, almost dramatic vibes, with chilled Indian vocals and slow drums. Deep and beautiful. Track 2 called Shamanic Tea was is also released on the Mana Medicine compilation on LSD in 2001. This is another classic masterpiece, which has been played a lot by chill out dj’s around the world. It continues the mystic soundscapes, here with more dubby sounds and beats. The melody in this one is just incredible, almost trippy. The female Indian vocals we get here are also beautiful! Then we get a new previously unreleased track. This is among my many favourites on this album. Trippy vibes, relaxed down tempo rhythms, deep bass, great melodies and beautiful vocals. A track we will for sure hear a lot this summer. Track 4 goes another direction. Totally relaxing, with some spacey acoustic guitar. Very dreamy track, with some loungy vibes. Quite light and happy chill out. Nice one. Track 5 has some echoing voice samples. This is just a short track, lasting for 2-3 minutes. Track 6 goes back to mystic, floating soundscapes. This track is very melanocholic, with some really beautiful melodies. It builds up a little, and after a while we get some relaxing beats too. Summer chill for sure. Track 7 is a great track called Silver, which was released as an Ott version on the Wider Horizons compilation on LSD last year. Here we get another version called Robot Baby version. We actually get a voice in there that sounds like a baby... This version is very slow and relaxing, with a chilled down tempo beat in parts of the track. Sounds pretty nice and organic. Track 8 goes another direction. Here we get dubby vibes again, mixed with some relaxing guitar sounds. This reminds me of some music from Hawai or something, but in an electronic version. Perfect for chilling out on the beach. Track 9 is previously released on the Namaskar compilation on Indica Music. This is almost a progressive trance track, still very relaxing, deep and quite trippy. An atmospheric, drifting track. The last track on this album takes us further into a chilled mood. This one is floating all the way through. A nice melancholic ambient track, with some soft vocals. This is for sure one of the best chill out albums of 2005. An album that will fit perfect for your chilled moments this summer. Pure quality all the way through. The only down side I can point out, is that some of these tracks are released before. I really like the cover art on it too. Liquid Sound Design is doing it the right way, with Abakus last year and now Tripswitch, it seems like we will get two great summers in a row. Recommended! This is so magically chilled out the first time through you think you have nothing... but as you listen and pay attention, and let yourself feel it, it just is simply incredible. This ranks as one of the top Ambient CD's I have. Not to be missed by anybody that likes the genre. I've been a big fan of Liquid Sound Design releases for some time now and when I first got this record in my hands I couldn't be happier. After listening to it for a while it got really boring. Just the normal psychill, nothing more. The 4/4 tracks really ruin the experience of listening to this as a whole. There are 3 old track remixed for this. The only brilliant track here is Roll Your Own. Edit 2. We need s simple way to remove these reviews and comments. The thoughts that are travelling in my mind when thinking of this album is many, and the feelings are many as well. The first times I listened on this album I thought that this is good, but it lacks that little special thing who makes you wanna go back and listen to it again. But after I had listened to it numerous times I started to discover more details, more feelings started to grow within me and that thing who earlier was just something "average" transformed into something intelligent and beautiful. This is one of the best friends you can have in your case during summertimes when it's time to chill.